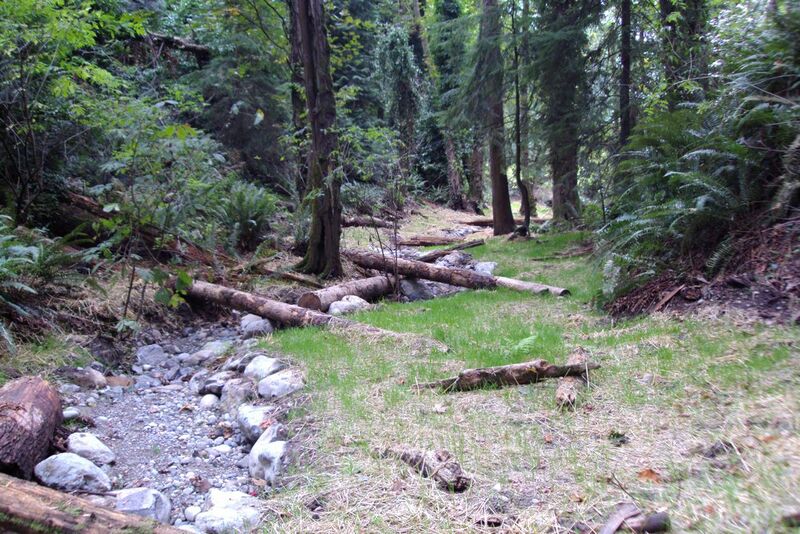 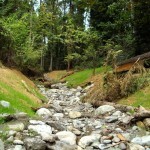 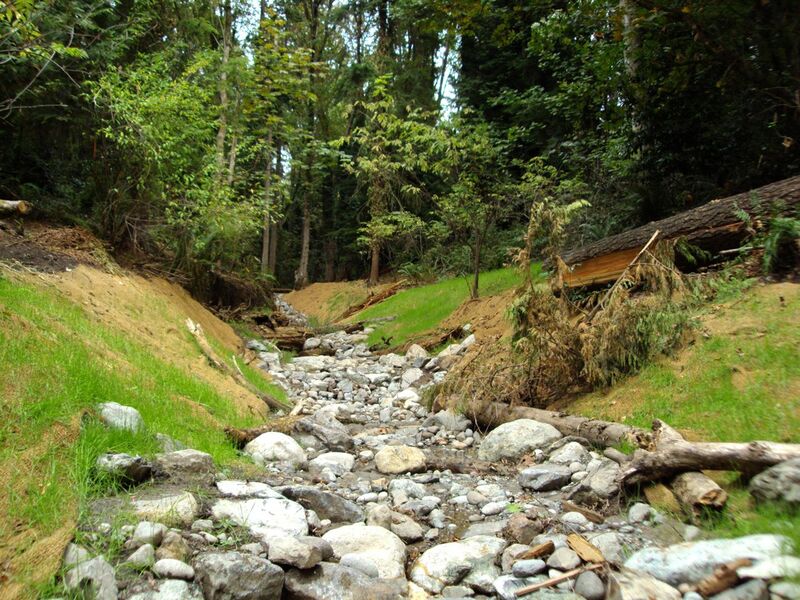 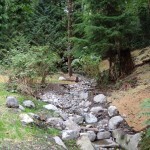 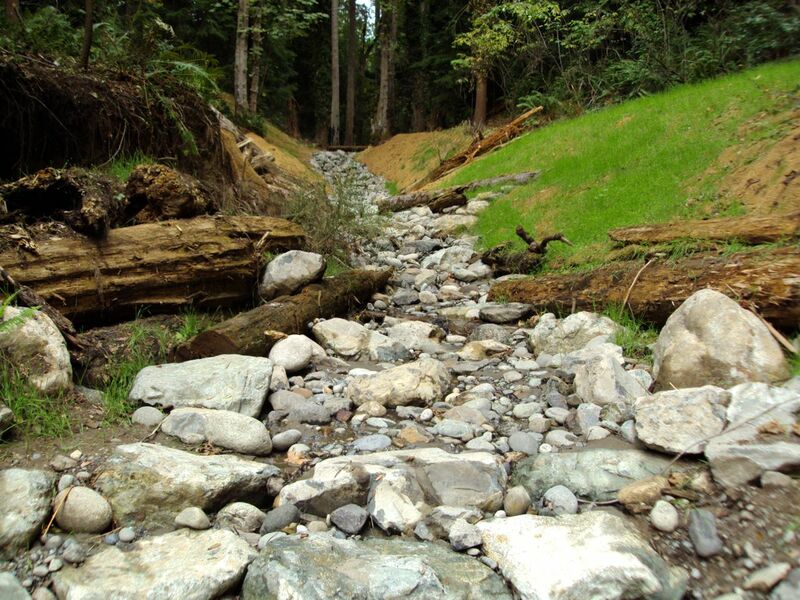 The Sub-Basin 26 Phase II Watercourse Stabilization Project stabilized and restored 1,200 linear feet of a watercourse located between West Mercer Way and Island Crest Way in the mid section of the Island. 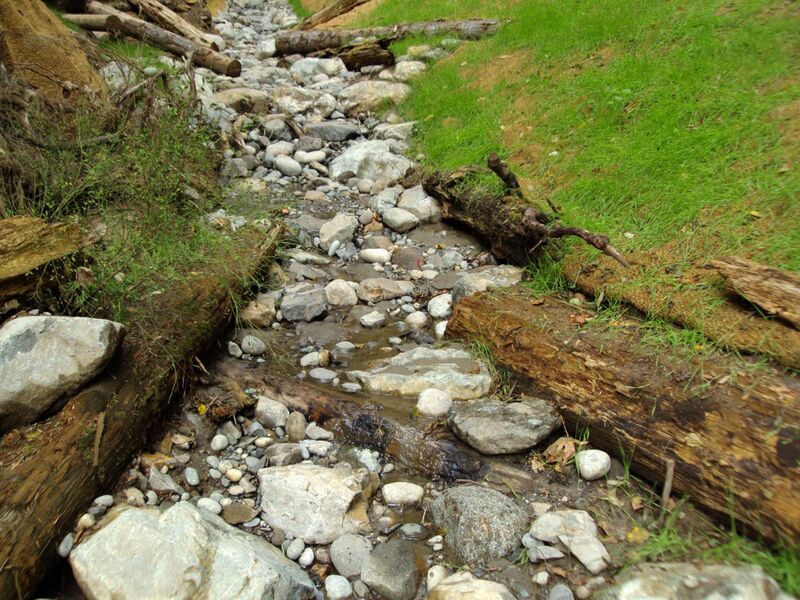 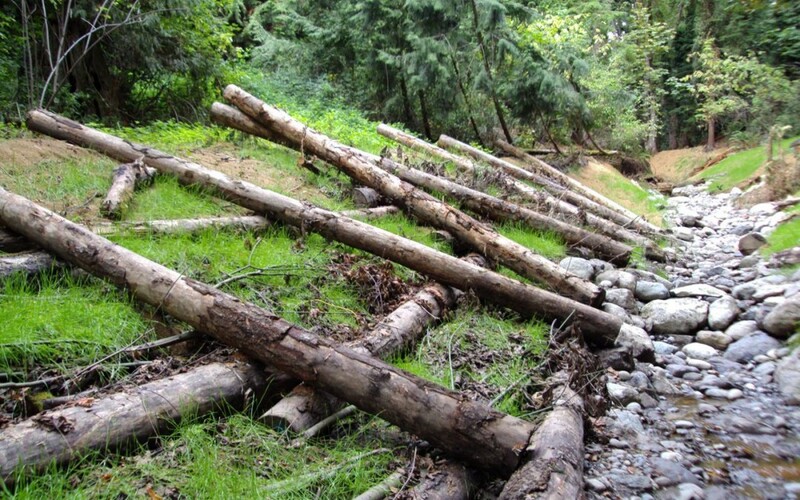 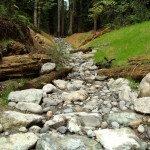 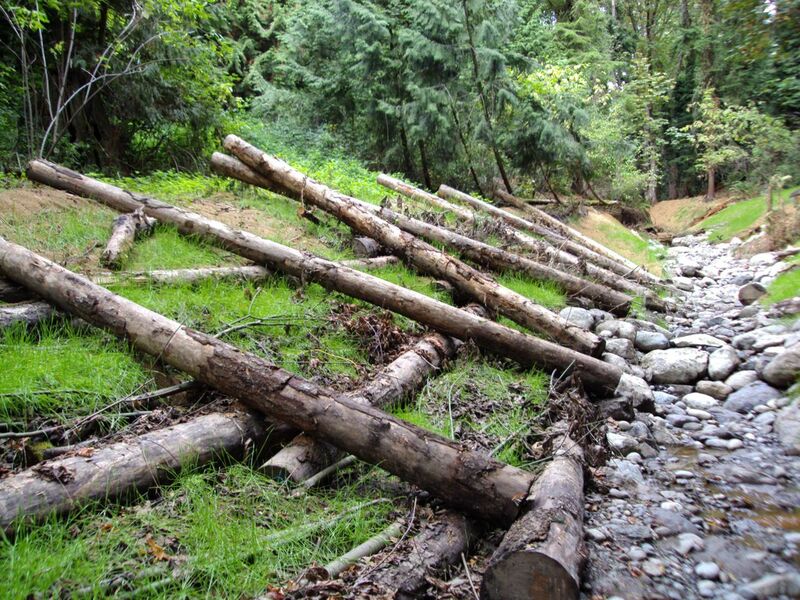 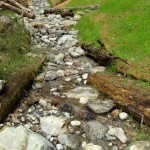 Logs, boulder clusters and stream bed control structures were installed to stabilize the eroding slopes. 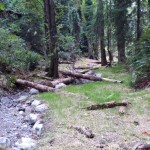 Minor grading was performed to correct a significant headcut created by flash flows over the years. 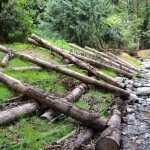 Approximately 80 lineal feet of log crib wall was built along a soft bank. 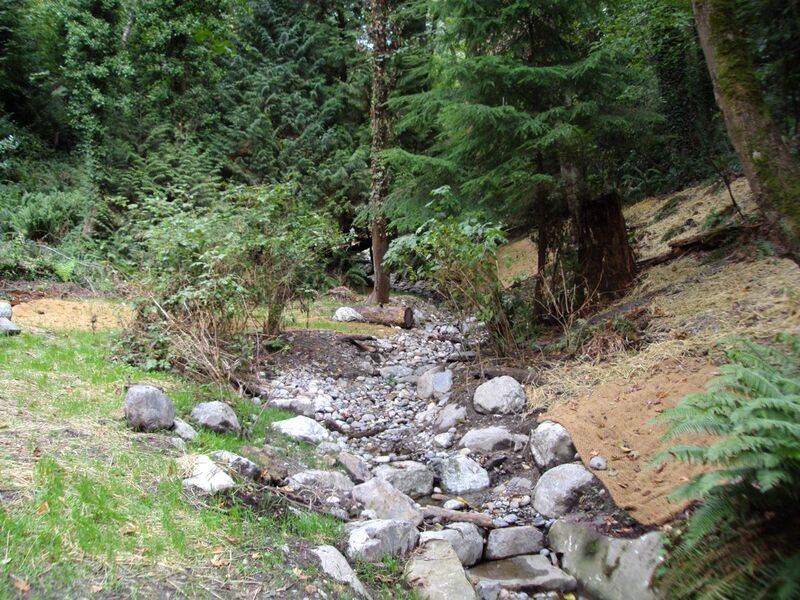 The project also removed invasive plants and replanted with native species within the construction limit.